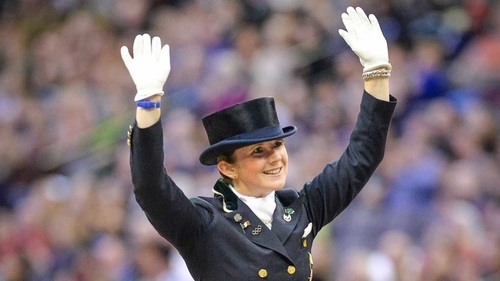 Ireland's Judy Reynolds and the Joe and Kathleen Reynolds-owned gelding Vancouver K have secured a place in next month's FEI Dressage World Cup final, following the last qualifying round at 's-Hertogenbosch in The Netherlands. Victory in 's-Hertogenbosch went to Denmark's Daniel Bachmann-Andersen with Blue Hors Zack on a score of 84.890%. Germany's Helen Langehanenberg and Damsey FRH finished second (84.875%), with Isabel Werth (GER) finishing third with Emilio (82.930%). The 2019 FEI Dressage World Cup final takes place in Gothenburg, Sweden from 3-7 April.